I was alerted to this book by its author Erik Maell. 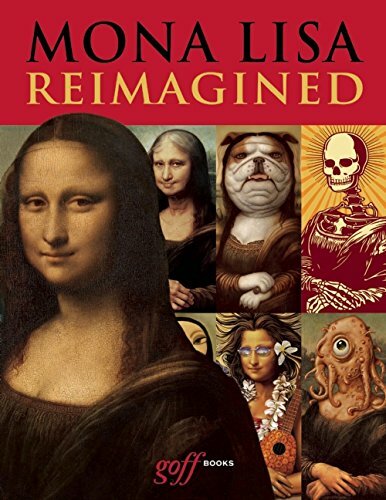 Mona Lisa Reimagined is an artbook that collects the hundreds of Mona Lisa-inspired artworks contributed by other artists. Each piece is a reimagined piece of Mona Lisa as interpreted by the artist. The highlight of the book is being able to see the different variety of style used to recreate the famous painting. There are pieces painted in Picasso's cubism style, as an optical illusion, Mona Lisa without Mona Lisa, and other interesting ideas. This is a 240-page hardcover. Check out the page previews below.